Amazon has changed the way people shop and buy products. Uber has changed the way we approach local transportation. Big-box stores and local mom-and-pop shops are fighting to survive because they can’t compete with the combination of selection and prices offered by Amazon. Taxis can’t compete with the convenience and service offered by Uber and Lyft. But there’s another area that hasn’t received as much attention, and that’s the business of associations. No, Amazon is not about to offer Prime Deals on association memberships. Neither does Uber run in-person meetings, events, or workshops. But their influence is felt nonetheless due to something I’m calling the just-in-time (JIT) effect. Meeting planners and organizers have always talked about a hockey stick pattern to reservations and RSVPs — a high percentage of people confirm their attendance in the week or two before an event, no matter how far in advance the event was promoted. I’m hearing that this has gotten significantly worse over the last few years. Now, people wait until the very last possible moment to confirm their attendance, which makes it darn-near-impossible to complete meeting arrangements. I’ve seen this myself. I run a global organization of consultants (Society for the Advancement of Consulting, or SAC). At the end of 2018, we ran a promotion allowing members to extend their memberships at the existing rate to beat a rate increase scheduled for Jan. 1. We had a great response, which continued to grow as we got closer to the end of the year. Yet, more people renewed on Dec. 30 and 31 than in the entire rest of December. One person even submitted their renewal at 8:59 p.m. PST on New Year’s Eve — just under the wire. Why has this procrastination situation gotten significantly worse? Part of the blame can be put on our friends at Amazon and Uber. In a world where you can wait till late afternoon to order almost anything and have it still delivered the next day, why would you ever think of taking care of these tasks earlier? With Uber and Lyft, there’s no need to plan transportation in advance (in fact, you can’t really schedule a pickup much in advance). Just whip out your cellphone when you want to go somewhere and voila! Your ride appears. Zipcar allows you to pick up a car exactly when needed; Turo lets you rent one from another driver. And, of course, Airbnb gives you last-minute flexibility in terms of accommodations. No need to book a hotel room months in advance — just find a room in someone’s house or apartment that’s available now. 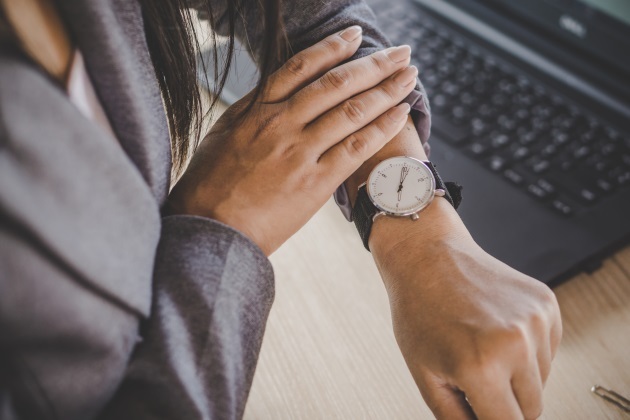 With all these just-in-time offerings, why would your members feel the need to confirm attendance at an association event any earlier than last minute? How do you survive in this new JIT world? Here are a few guidelines. Be clear on your value. Know your differentiators and what it is you provide to your members that they can’t get anywhere else. Then, be sure you communicate this to members on a regular basis. Take all the slack out of your processes. Review your current time-to-market process and see where things can be sped up or entire steps eliminated. How can you be more efficient and react more quickly? Push as much as possible out towards your members. The auto industry invented JIT so that they wouldn’t have to carry excess parts inventory. Suppliers responded by moving their facilities closer to their customers or to shipping hubs, like Memphis, Tennessee, for FedEx or Worldport in Louisville, Kentucky, for UPS. How can you as an association push services out to members? Can you create more decentralized events, or offer more online options? Use long-term incentives to keep members engaged. Offer discounts and incentives for ongoing, long-term commitments. Create an attractive package that includes multiple events or meetings at a discount for one upfront payment. A member who has already paid for an offering is one less member you’ll need to solicit at the last minute. Make it easy. Then make it even easier. How simple is it for members to work with you? Is your ordering or reservation process short and to the point? Do you support mobile and text options? Make it as simple as possible for customers to do business with you, then go back and see how you can improve even further. Late fees may backfire. There was a time when tacking on fees for last-minute registrations was a sure way to get people to respond earlier. But that’s no longer the case. Even when there are disincentives to waiting, many people wait till the absolute last-minute to respond (as they did with our SAC association). Unless you have incredibly compelling programs, they may just decide higher prices aren’t worth it. Gamify where you can. How can you make the process more fun? What can you do to make members (particularly millennials) eager to join in. Scarcity is one way to attract attention. Post how many slots you have left and let members and prospects see how quickly they’re being filled. Make it a game to get there early enough to secure your offering. When those slots are gone, they’re gone — which teaches members to be on the lookout for what you’re offering, rather than to wait till the last minute. Will these steps eliminate all of the angst of waiting for last-minute responses? Of course not. But they will send the message that you understand how your members think and act now, and that you are working hard to meet their needs in today’s just-in-time world.